In February of this year the city of San Jose was hit with one of the most devastating floods to date since the 1800’s. Rain waters caused severe damage to many of the neighborhoods and forced families from their homes. It was estimated that 14,000 people of the city’s population of 945,942 (according to Suburban Stats) were forced out of their homes. Amongst those evacuees were Joe and Mary Ramirez, a husband and wife whose home is located downtown off 20th street. Joe and Mary have lived in their home for over 37 years with their son Antonio, who is also their care-taker. They are disabled seniors with many debilitating ailments which have forced them on permanent disability. The house is paid for and is 110 years old; which Joe inherited from his parents. Collectively, they receive a total of $1,400 a month leaving no money for a mortgage or monthly rent. The flood destroyed their only asset leaving its foundation saturated in dirty contaminated sewer water. The walls have accumulated mold because of the moisture from the rain water making the property a health hazard. To add insult to injury, a week prior to the floods Joe’s truck, and only means of transportation was in an accident and totaled. With no safe living space and having to battle daily for their health Joe and Mary took refuge in the Seven Trees Community Center, where our paths eventually crossed. From the commencement of our meeting, we knew that these were special human beings facing one of the biggest trials of their life. Our team was heart -broken as Mary and Joe shared details which lead to the tragic events. With tears in her eyes Mary cried, “We need help we are disabled and cannot do much for ourselves”. Touched by what we had just witnessed, our team went back to our Advisory Board and immediately devised a plan to help and here we are. Joe and Mary need your help. Our goal is to raise at least $10,000 to help in the restoration of their belongings they have lost in the flood. We are partnering with the City of San Jose and the Office of Mayor Sam Liccardo in their relief efforts to rebuild and restore the Ramirez home. Fundraising will be specifically allocated towards new appliances: Including stove, refrigerator, washing machine & dryer. Other resources will go towards dressers, bed frames, and other household living necessities. We hope that you will be moved to action as we were to adopt the Ramirez family as we here at Pacificwide have done. On behalf of Joe and Mary Ramirez we thank you for your prayers and financial support. 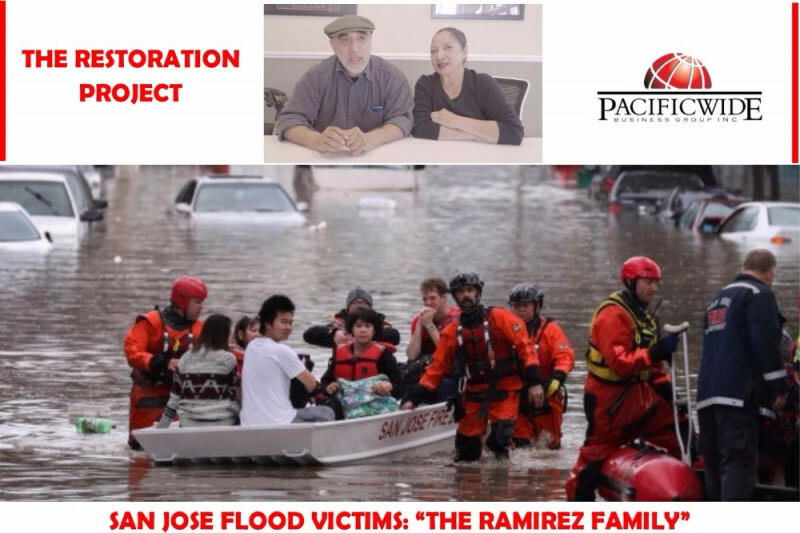 On 9/5 and 9/6, Pacificwide contacted and discussed with the city of San Jose about a disaster loan program for flood victims affected by February 2017 Coyote Creek Flood strategy. Ramirez family need this assistant loan to repair their home, which was largely damaged by water. We spoke with Chris, an in-take personnel of the City’s Flood Restoration Program and she said that she would send us an application in next few days. It may take few weeks for an approval from the date the application is submitted, then an inspector will be onsite to evaluate the damage assessment. We will update you promptly once we have more progress or information from City of San Jose. In the meantime, while waiting for the receipt of a loan application and further steps on this program, please keep up the effort to raise fund for the Ramirez family. They need a lot of help to be able to restore their home with safe and healthy condition by end of the year. Thank you all so much! 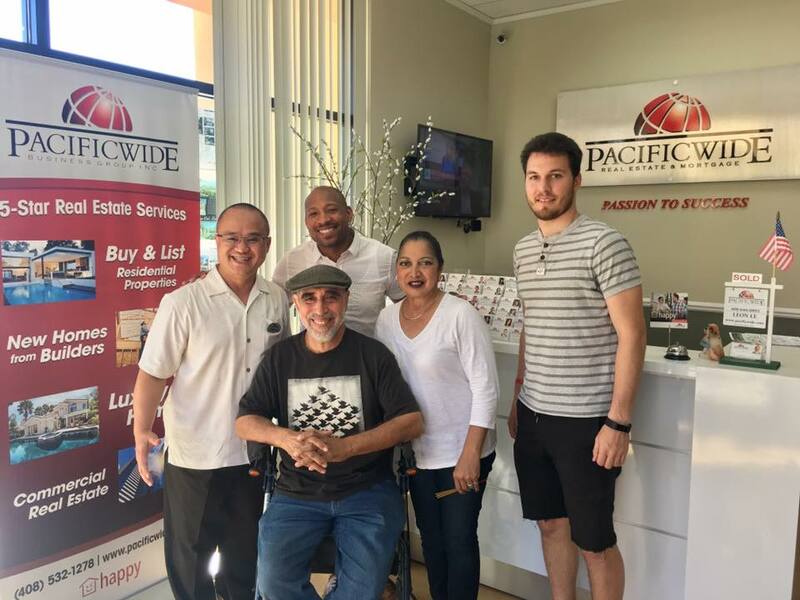 Dear Pacificwide family and friends! It has been a while since our last update. However, we have been in touch and working closely with the Ramirez family in the progress of restoring their home and help them in anyway we can. Joe and Mary has been staying at an apartment rented by a generous charity church. Unfortunately their contract will end in about 2 months, so sometime in September. We have 2 months left to raise as much fund as we possibly can to help the Ramirez to renovate their home back to normal so they can move back in time after the contract is over. We will be meeting Joe and Mary, as well as their son Anthony this Friday to go over the plan. Please keep up the great work and effort in helping Joe and Mary to restore their beautiful home and have their normal life back again. Thank you all so very much for all your efforts and generosity. Dear Tina Dao, on behalf of Ramirez family, we thank you for your generous donation o $100 to help the family to restore their lives from the strategic flooding in San Jose in February 2017. Your heart will go on. God bless you. 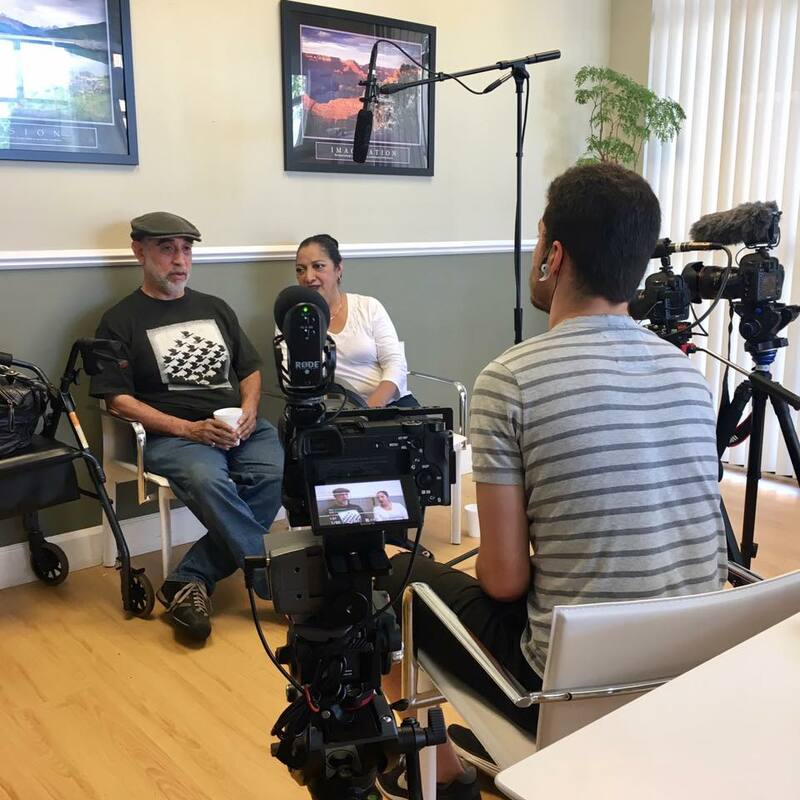 On May 3, 2017, we had a successful video interview with the Ramirez family, conducted by journalist Felix Petermann from the Peninsula Press of Stanford University. Joe & Mary shared their story and experiences of what happened during and after the flood. Many thanks to Felix Petermann for your involvement and sharing their incredible story. Stay tune for more updates! I'm glad that I can be able to lend a helping hand. I hope together we can make significant improvements in restoring the Ramirez's home. God bless them all ! Thank you San Trinh and Main Street Bagels. Your customers and you made a difference in helping unfortunate person. Thank you for caring and sharing. God bless you and everyone. Thank you agent Emma and Michael Voyoski for generous donation of $100.00 to Ramirez Family. Your heart knows no limit and loves BIG! May you kind hearts go on to the family and everyone. Thank you agent Emalu Clemons and your friends for raising another $83.00 in donations for the Ramirez Family. Your heart goes on to the family and community. May you always be happy, in great health and be the best everyday. Thank you agent Linda Ramos and your friends for raising another $83.00 in donations for the Ramirez Family. Your heart goes on to the family and community. May you always be happy and joy everyday. Another thank you note to Mikelle Le and her friends for raising additional $100.00 to bring the total donation from your team to $400 for the Ramirez Family. Your heart knows no limit and loves BIG! Wish you all the best.